Learning a new language is a challenging and time-consuming process. However, the health benefits of becoming bilingual are extremely rewarding. While myths surround the inability of older adults to learn a second language, research shows that no one is ever “too old” to take advantage of the benefits that bilingualism can bring. The common misconception persists that learning a second language after a certain age is next to impossible. Studies have shown that children can learn most things faster and easier than adults due to the flexibility of young brains; however, children have few distractions beyond receiving education at an early age. Adults tend to have busy schedules, time-consuming jobs, and even children to raise, which means that they usually have less opportunity to learn something new. When given the opportunity, adults can learn a new language at any age and can acquire a second language just as quickly as children. Adults usually have a better grasp of grammatical rules and syntax. Adults also tend to have superior pattern recognition and pronunciation capabilities. Cognition is the process of learning and understanding the world around you by considering it, experiencing it, and sensing it. Everything from reading a literary classic to doing taxes involves cognition. Cognitive ability decreases as you age, but learning a second language can slow that process down. According to a study by Penn State University, learning a new language can structurally and functionally change the brain into a more flexible and efficient system. That means the brain will be better at thinking quickly, multitasking, and making decisions. Think of the brain as a muscle. Imagine learning a new language as a mental workout. New language acquisition requires understanding its phonology, vocabulary, and grammar. As you continue to practice speaking and writing in a new language, you strengthen your thinking “muscle,” as it gets better at storing and recalling information. This practice translates to an overall improvement in memory, helping you remember lists, sequences, and directions easier than before. According to studies by the American Academy of Neurology and York University, dementia symptoms appear for adults who speak only one language is 71.4 years as opposed to 75.5 years for adults who speak two languages. What this means is that bilingual people, on average, resist the initial effects of dementia and Alzheimer’s disease up to four-and-a-half years later than those who only speak only one language. Learning three or more languages does not seem to increase the effect, so being bilingual is enough to take advantage of this remarkable benefit. The reason behind the increase in brain strength is that juggling and switching between two languages activates certain parts of the brain that are involved in what’s called “executive functioning,” or the skills the brain requires for getting things done and completing tasks. The more this part of the brain is used, the greater the chances of decreasing the rate of age-related cognitive decline. 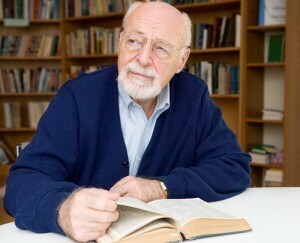 All told, even late into adulthood, learning a second language can still slow brain aging! Outside of the medical benefits of learning a second language, taking foreign language classes provides a great opportunity to meet new people who share a common interest. Socializing and interaction are integral to keeping the brain sharp and slowing cognitive decline. Studies published by the Gerontological Society of America have shown that for older adults, socializing improves general well-being and life satisfaction. Learning a new language can be a great way to learn about new cultures and communicate with people who don’t speak your native tongue. Being bilingual opens up a whole new world of literature, film, and music that you can understand and enjoy. Families considering Assisted Living for a loved one will be happy to know that many facilities offer language courses. To start, check with your loved one to see if an offered language or languages would be of interest. When you’re researching Assisted Living communities, take note the activities on offer and see if languages are taught. For this or any other learning activity, it’s important that your loved one’s interests overlap with what is available. This interest will help your loved one become more invested in the learning process and inspire greater efforts to master a new language.